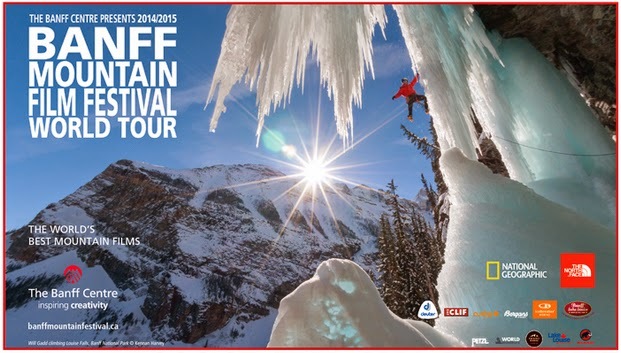 The Banff Mountain Film Festival is an annual traveling show featuring adventure films that expand my world. The festival is a collection of set films on given dates, often exposing me to sports I would normally not see on the big screen: kayaking, extreme skiing, ice climbing, travel adventure and more. This year a special gem starts off the film festival, in Denver, Colorado on Thursday night, featuring the Col du Galibier. Once I heard the Galibier would be featured - I rushed to buy my ticket. The dates of the festival were brought to my attention by a fellow American blogger and frequent traveler/cyclist to France (Suze). She too has ridden the Galibier and recently shared having seen the film on her blog. Immediately I went to look up dates in hopes that I had not missed my opportunity to witness aerial views of the mighty Galibier. Luckily I had not missed out, my ticket now sits waiting on my dining room table for Thursday night's viewing. Colorado cities remaining on the tour for February and March 2015 include: Aspen, Crested Butte, Colorado Springs, Durango, (Boulder today and tomorrow!) - get your tickets. The Banff Mountain Film Festival was founded in 1976. You may attend the complete 9-day festival in Banff, Alberta, Canada every year in November. Approximately 840 traveling screenings of selected films are seen in locations around the globe after the initial festival in Banff. More than 5000 films have been submitted to the festival over the years. This Thursday night I will sit for over 3 hours and watch 8 films. Every year that I have attended the Banff Film Festival, I have been glad I made the time to see the work and play of these adventurous film makers. This year I will watch an 88-year old extreme skier, footage of the Empty Quarter desert on the Arabian Peninsula, free climbing Cerro Torre in Patagonia, and stories of a slack liner, a stand-up paddle boarder, mountain bikers, and big mountain skiers. Plus I will get to see the aerial footage of Col du Galibier, Santorini in Greece, and the Aiguille du Midi above Chamonix all in one film. 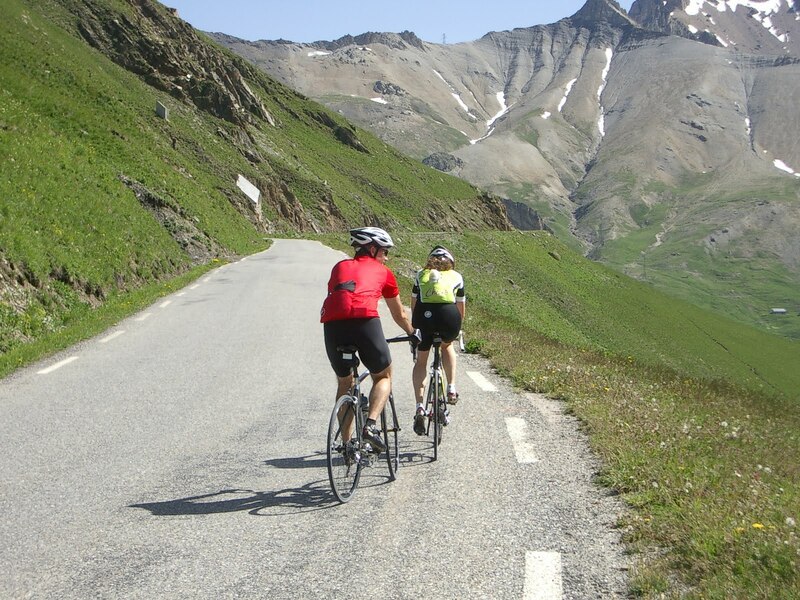 If you have been on the Col du Galibier yourself, without a doubt, you know that part of that mountain stays with you for the rest of your life. The achievement of riding both sides of the mountain is enormous. 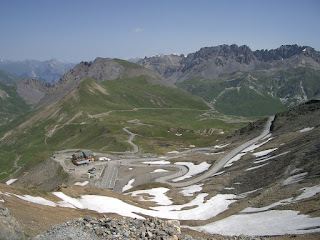 The Galibier is grand and epic and majestic and awesome beyond words. It is by far one of the deepest triumphs I have felt (probably because I fought through a bonk to summit it the second time in the day). I can still feel that climb in the memory of my cells. That says a lot. I can't wait to see this film on the big screen with a room full of other adventurous souls. Some things should be brought back to the forefront of our memory. I can't wait to experience the feeling of being back on that mountain this Thursday night! p.s. update: The Film Festival was absolutely wonderful. I plan to go to both nights next year.